This edition of the CG Ellipse Curve is an exclusive, limited run. 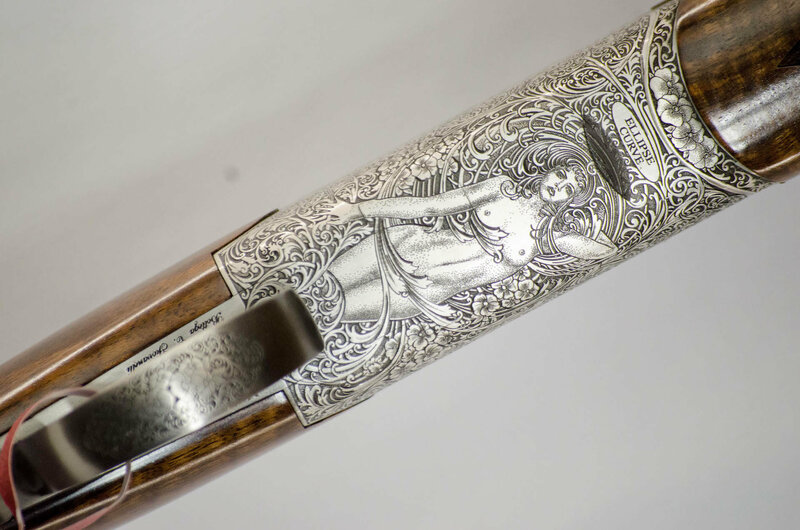 Features a rather risqué engraving design certain to turn heads. 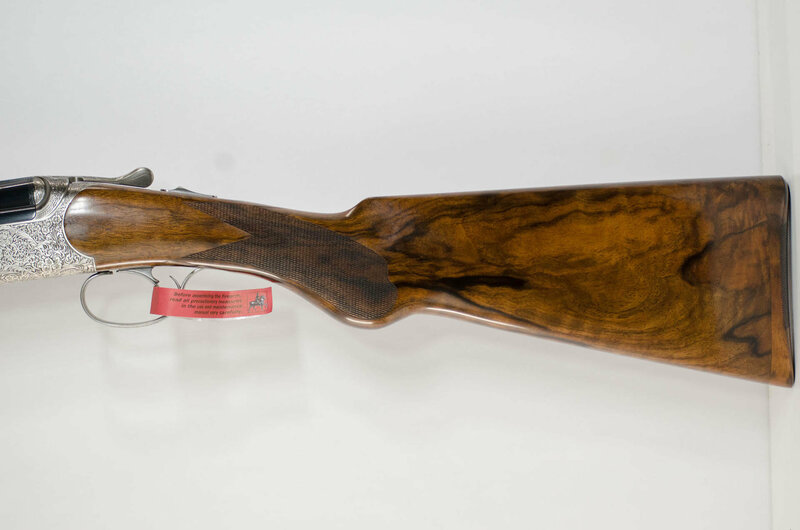 Paired with a 28″ vent flat rib barrel and a slim, non-adjustable stock. Upgraded wood. 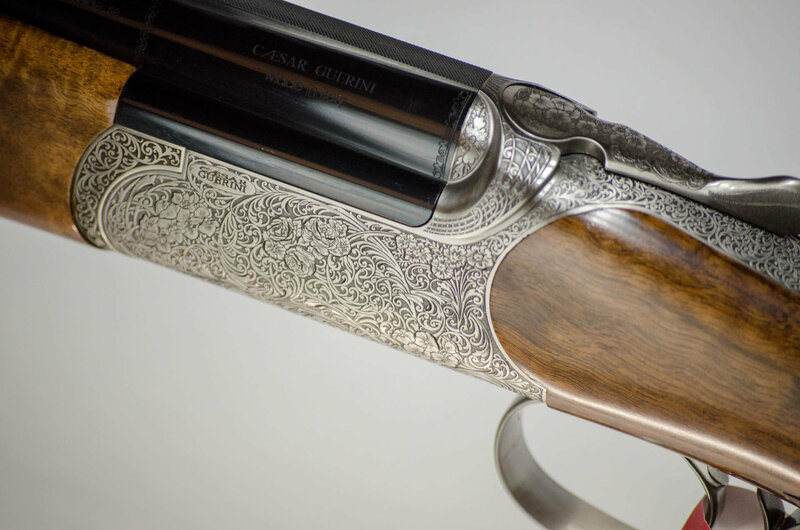 5 nickel plated, flush fitting chokes and Caesar Guerini hard case come standard. 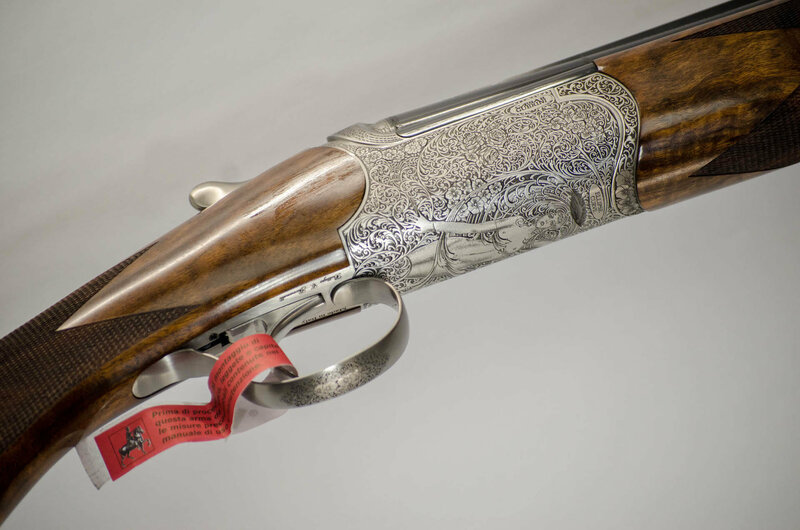 The world’s best shotguns can cost as much as a quarter of a million dollars and take years to make. 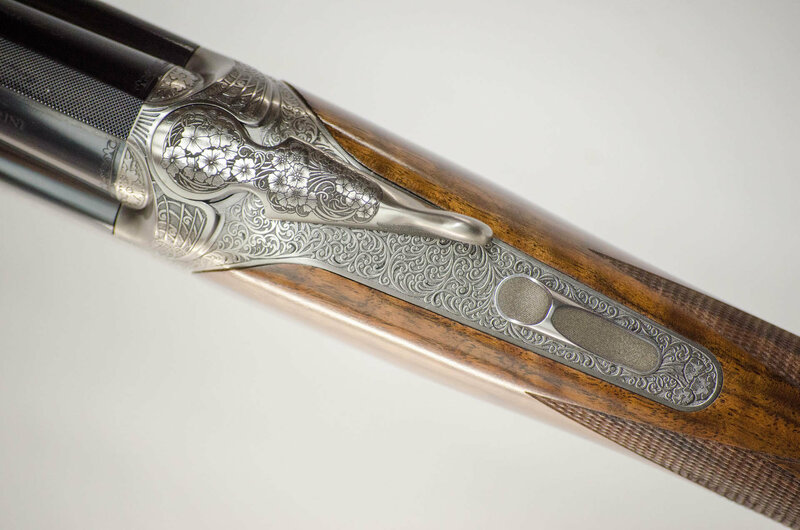 The engraving alone can account for up to one third of the price. 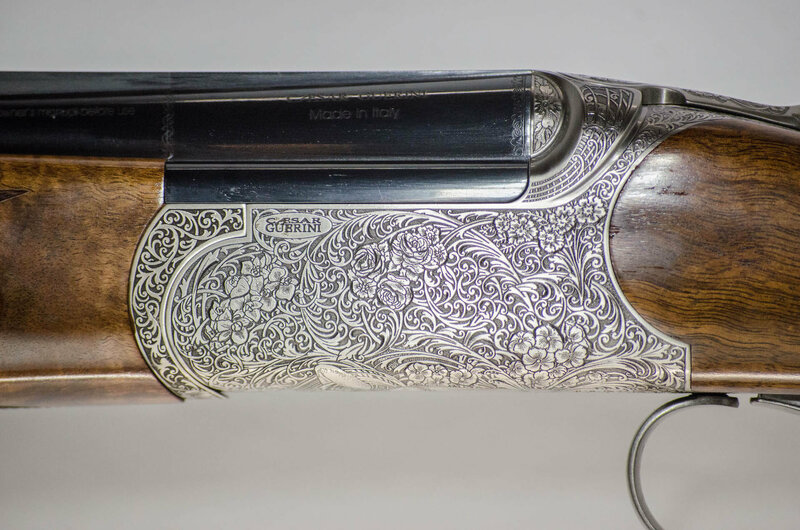 The result is a shotgun that combines art and function in a way that few man-made objects can match. 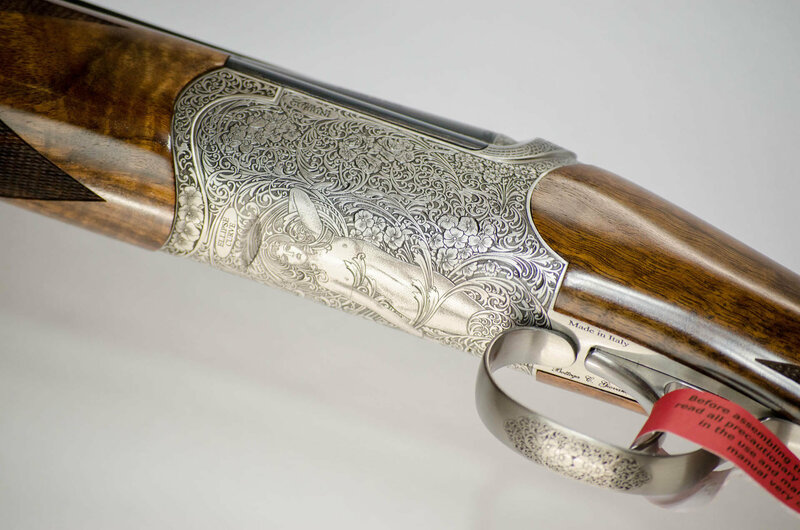 As wonderful and fascinating as these firearms are, they are little more than an unapproachable luxury item that is out of reach for the average hunter. 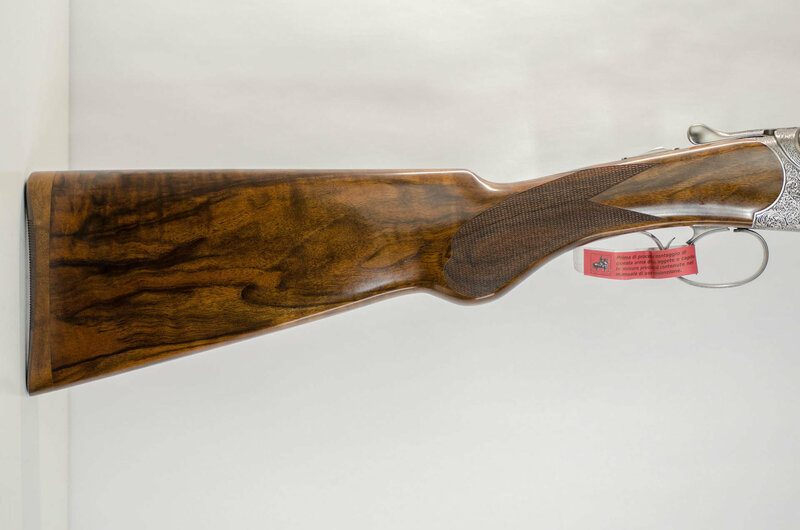 What if a company could use modern technology to make a shotgun that had the same qualities? That is the concept behind the new Ellipse Curve. 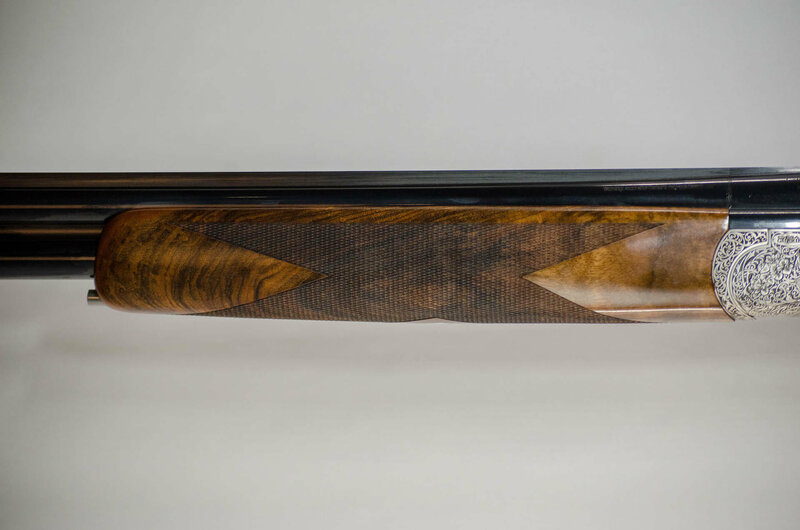 The Curve is based off of Caesar Guerini’s Ellipse round body action. This type of action not only provides a clean uncluttered look, but also makes for a trim profile. 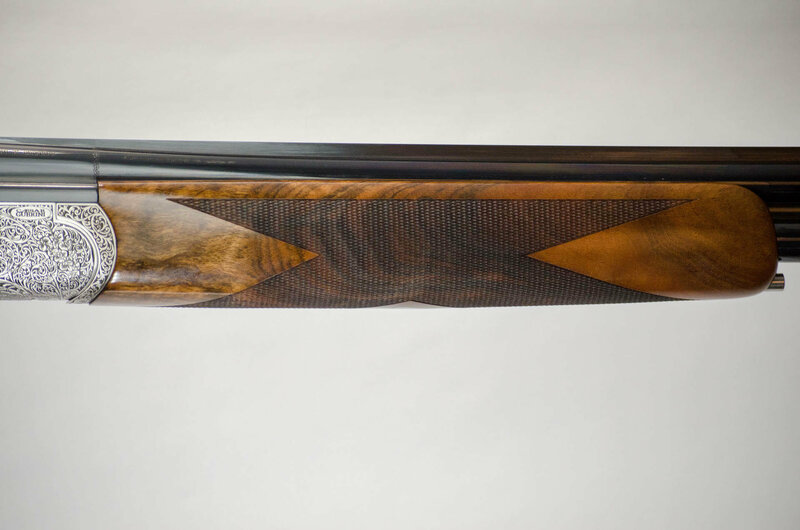 It’s these trim lines that make the Curve a responsive and natural pointing bird gun. 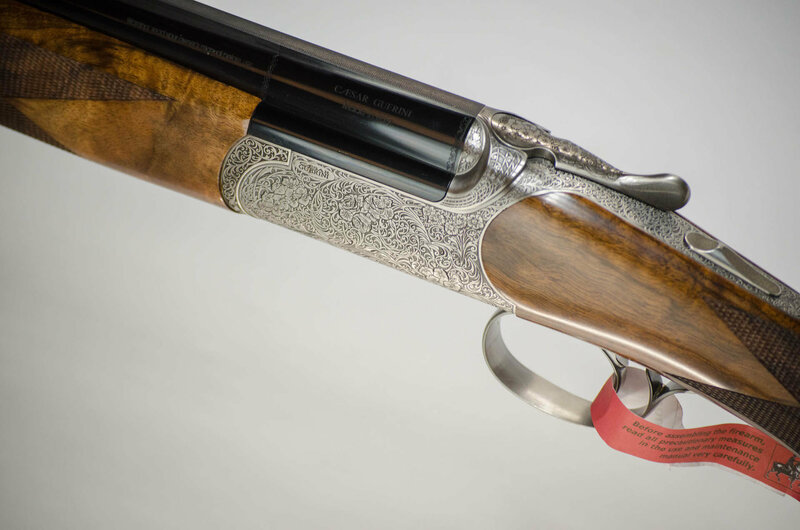 Combine responsive handling with Caesar Guerini’s reputation for reliability and you have the makings of a world-class shotgun. However, that is not the whole story with the Curve. 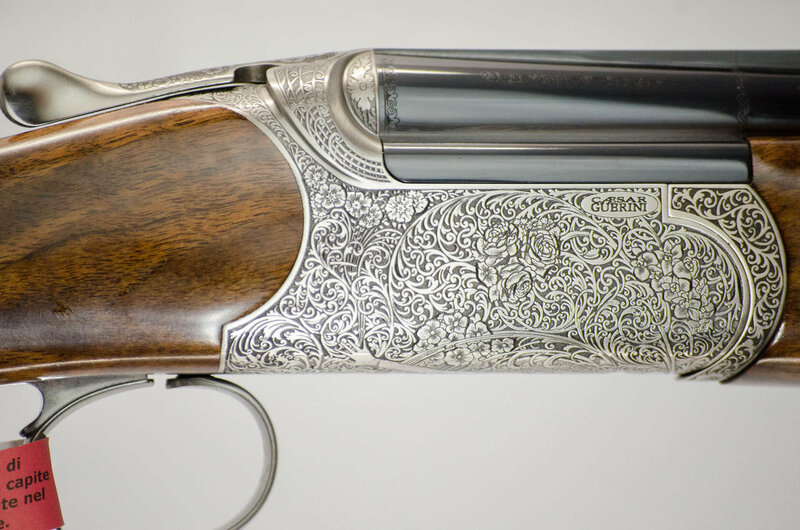 The engraving is also groundbreaking in quality. The execution is of a level that has only recently become achievable through the most cutting edge technology. It is this combination of art and technology that allows the Curve to reach this level of craftsmanship at a fraction of the cost.